In the year 63 BC, a tiny baby named Octavius was born into a prestigious family that lived in a small town outside of Rome. Eventually, the child grew and gained respect when he became the adopted son of Julius Caesar. 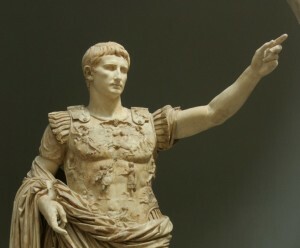 The young man, renamed Augustus, trained to become an expert warrior. When the elder Caesar was assassinated, this capable leader used his prowess on the battlefield to defeat aggressors who fought him over control of Rome. Once firmly in charge, he used his military expertise and civil vision to bring stability to the fledgling republic and transformed it into a vast empire that would bring peace to most of Western Europe for two centuries and continue to exist in some form for over a thousand years. Given his strength, foresight and reputation, virtually everyone living at that time would have agreed that the future of the world was shaped and controlled by Caesar Augustus. That’s because the world was actually being shaped… and eventually transformed… by a tiny baby born just outside the insignificant town of Bethlehem. The man this baby would grow to be wouldn’t command authority through traditional might, strength or manipulation. His rule would be ushered in through humility, sacrifice and a servant’s heart that would impact the destiny of all people forever. 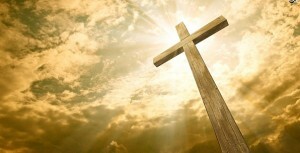 Believers in Christ don’t need to fear the strength and might of any human being. Though for a period, some in this world may wield temporary power, true enduring authority lies only in with the One who was able to triumph over death and the grave. Sin was no match for Him. Satan could not subdue Him. And that means that you can be assured and at rest, knowing that whatever you face today, individually or globally, all things are completely under the authority and power of your all loving Mighty God, Jesus Christ.